After your arrival to Galapagos you will take the bus to the Itabacca Channel and then cross it with the ferry. On the other side a driver will wait for you and drive you to your hotel. Later in the afternoon you will join a shared tour to the highlands. The highlands of Santa Cruz are a deep green, contrasting beautifully with much of the dry, lower island. The dominant vegetation in the highlands is the Scalesia trees, creating the lush green color. Afterwards we will do a short ride that will take you to a 600-acre private reserve, where the giant Galapagos tortoises freely roam, graze, and sleep. Walking among the wild tortoises will be one of the most treasured moments of your trip. After visiting these prehistoric creatures in their natural habitat we will take a 5-minute ride to the entrance of a 450-meter (1350 feet) illuminated lava tunnel. With a ceiling nearly 20 feet high in most places. This is an incredible opportunity to see lava stalagmites, stalactites, sulfur, mineral-colored walls and the rippled floor formed from lava along this unique lava formations. North Seymour Island is teaming with life and is a great visitor site on Galapagos! You might have to give way to a passing sea lion or marine iguana. On either side of the trail Blue-footed boobies nest and mating pairs perform there their courtship dance. Further along the rocky shore a strand of white sand lies inland. Large flocks of sea birds mass there for outstanding feeding frenzies, rendering a tableau for us from ages long past. The trail in North Seymour Island turns inland to reveal the largest nesting site in the Galapagos of the magnificent frigate bird. These huge, dark acrobats have 5 foot wingspan, and males, with inflated scarlet gular pouches, sit precariously in low bushes to watch over their equally large chicks. Take the speedboat from Santa Cruz to Isabela at 07:00 am. Around 09h30 you will reach Isabela Island. You will then have free time to go to your hotel and leave your luggage. In the early afternoon you will start your tour to the Wetlands. The wetlands are a complex of trails that lead you to various sights: El Cerro Orquilla (sightseeing point), El Estero (mangroves and majagual forests, penal colony), La Poza Escondida (rock and wood trail), Poza Redonda (lava tube), El Túnel del Estero (lava tunnel, marine landscape), La Playa del Amor (coral and sand beach), Mirador de los Tunos y Pozas Verdes (trails with sightseeing points) and La Playita (beach). The cemetary is also on the way to and from Puerto Villamil. Keep in mind that you will not visit all these sites, it depends on your local guide and tour itinerary. The Breeding Center Arnaldo Tupiza was created for the protection of the giant tortoises, a great place to see the efforts of conservation and animal welfare. Just a few minutes away from the town you will find a nice lagoon with pink flamingos, a natural habitat of these beautiful animals. “Los Tuneles” is the most spectacular site for scuba diving in Isabela Island. The water is shallow, calm and very clear – a sea sanctuary. 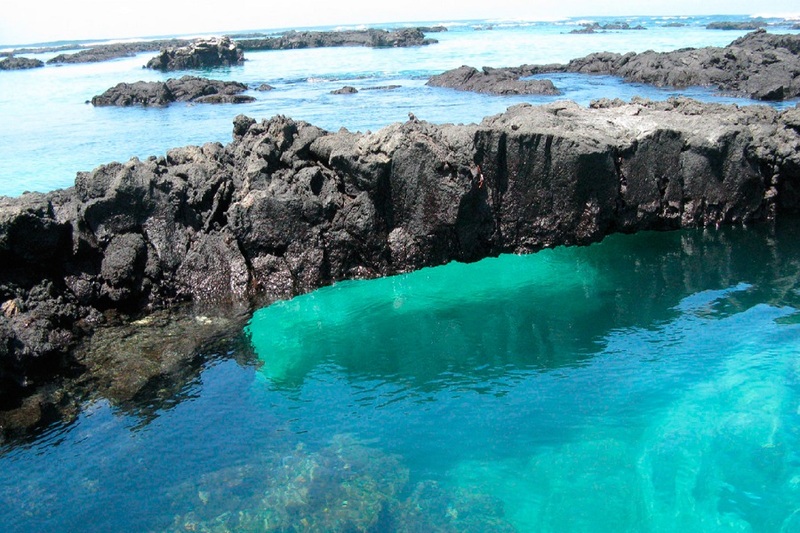 A series of lava flows have produced unique geological formations, a series of arcs and tunnels underneath and above the water – a habitat for many local Galapagos Species. The entrance to the site is shallow and the waves can be strong. Because of that the access can be complicated. The best time to visit the tunnels is between January and May. 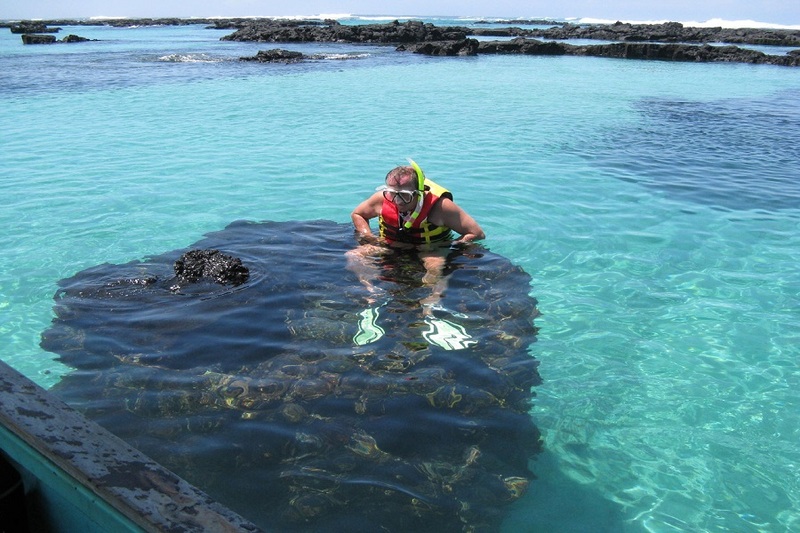 An exciting boat adventure will take you to the unique geological site, a snorkeling paradise. 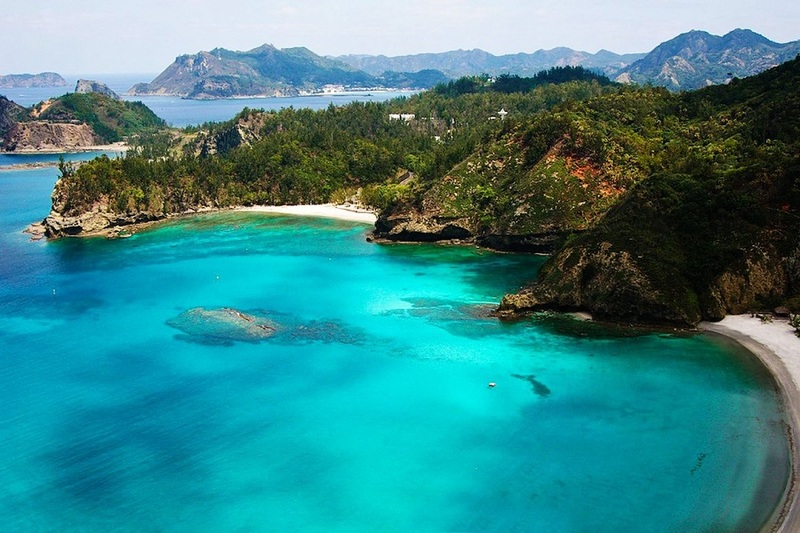 It is home to various species of the incomparable enchanted islands. The average temperature is between 18 and 22 degrees Celsius. Large quantities of seabirds such as the Albatros, Flamingos, Blue Footed Boobies and magnificent frigate birds nest on the banks. 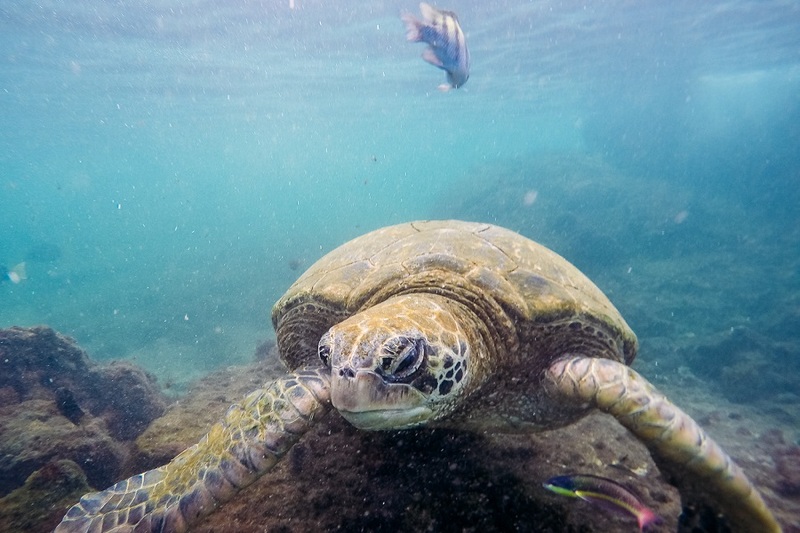 In addition you can also see there distinct species feeding such as the tortoises, iguanas, sea lions, manta rays, penguins, lobsters, and sea snakes. During the trip you will see the colorful desert vegetation including Xerophytic plants like “Palo Santo” (holy wood) and the carob tree. After the tour you will take the speedboat back to Puerto Ayora for your last night on Galapagos. Based on the flight time, a taxi will drive you to the Itabacca Channel. Cross with the Ferry and go to the airport to take your flight back to Quito or Guayaquil.